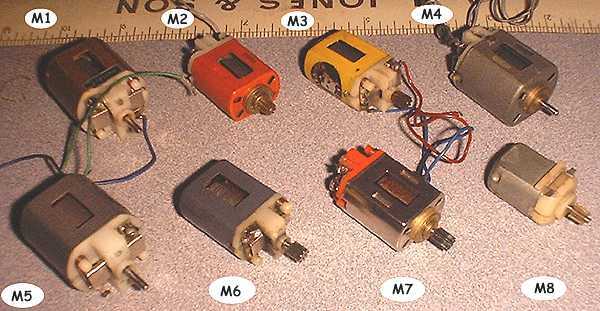 Over the next 8 webpages are images of motors, which are identified by numbers. At the bottom of each page is a listing, showing the best identification so far of that motor. Find a picture that matches your motor, and see if our Scratchbuilt.com community has identified it yet. The Scratchbuilt.com Slot Car Motor Quiz! Comments: Type A, color metal, can stamped MADE IN TAIWAN, endbell says MABUCHI MOTOR PAT.